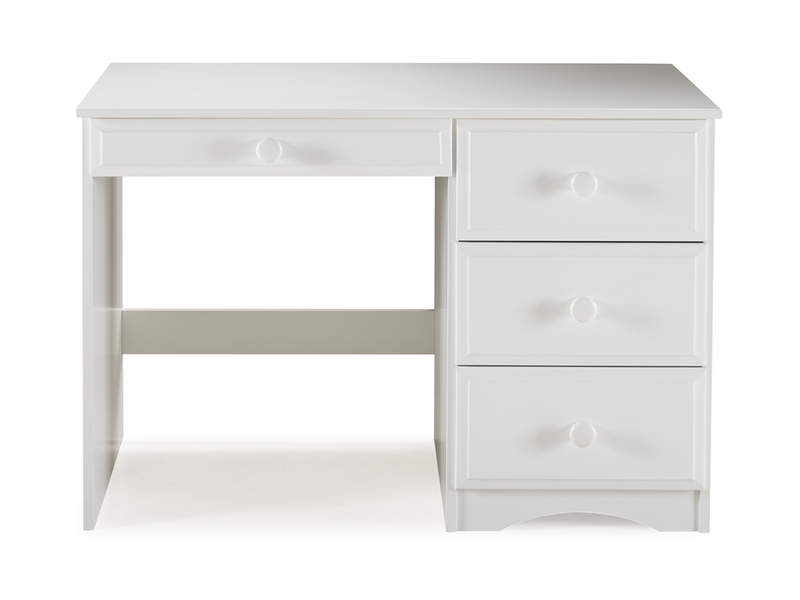 The Essentials Writing Desk by Camaflexi is constructed of solid wood for natural beauty and ensuring strength and durability for years to come. This writing desk features plenty of storage. 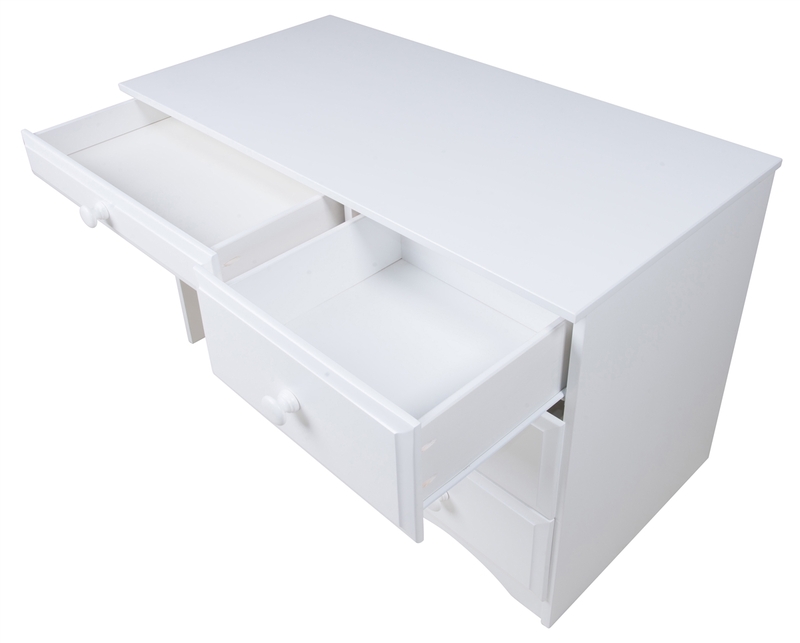 The Essentials Writing Desk comes with one pencil drawer and three large regular drawers, offering ample storage space for organizing all your home or office supplies. The desk surface is large enough for a lap top and offers plenty of extra space for writing or working. 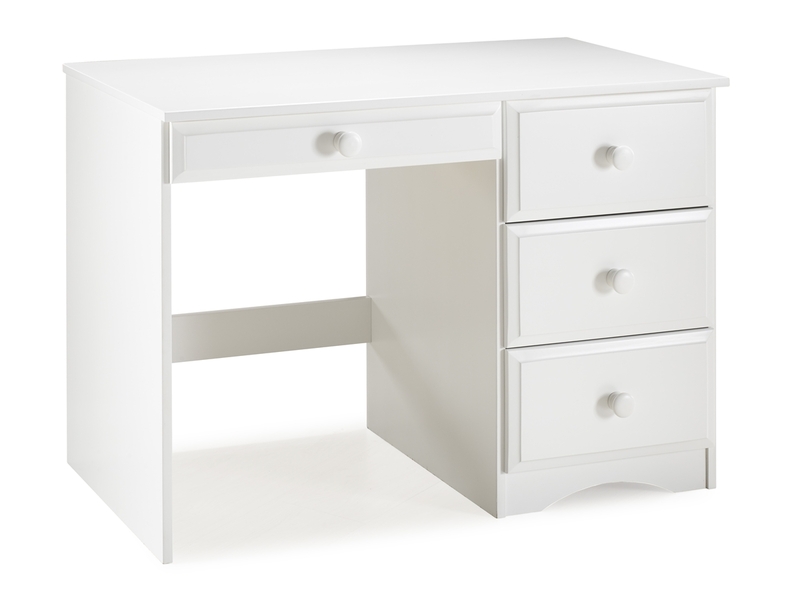 Featured in a cool white, protective finish, this desk cleans easily with a damp cloth. All of the storage drawers come equipped with durable metal roller glides with safety stops, for smooth effortless motion. 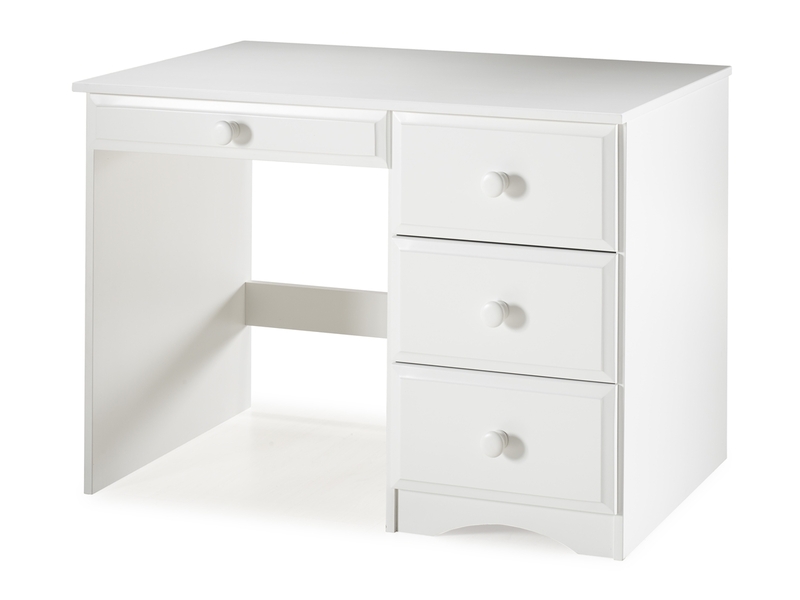 The Essentials Writing Desk fits in well wherever you need a work station, writing desk or a bit of extra storage such as, a bedroom, entryway or living area. The desk is easy to build, good quality and looks great! Such a nice desk for my granddaughter’s bedroom! She really enjoys it and it is a very well constructed piece for the price.